Throughout history, competitions have constructed a relationship of servitude between architects and the structures of economic, political and cultural power. While the concept of the competition brief serves as the initial document for the manifestation of desires, either through programmatic, economic or formal needs, the role of the architect is often reduced to answering questions that someone else has asked. In exceptional occasions however, the architect’s ability to reinvent and produce new desires occurs in the form of rebellion against the brief, in which the architect is driven by the pure belief that real needs are contained outside of given principles. Given that competitions operate in a confined space for experimentation, they have perpetuated and sometimes repeated at nauseam, a series of programmatic and social needs – from Museums to Concert Halls – without actually asking what the needs are of society, that architecture should aspire to serve. This competition claims that the true desires of our present society are outside of the current taxonomy of competition briefs, and that architects should be participants in the construction of the questions they are asked to answer. If a competition is the articulation of society’s desires in space, what new desires should we consider? What are the questions of our time that we should be asking architects, urban planners and policy makers to redefine the way in which we build our cities and territories? What underrepresented spaces, individuals or collectives need to be explored? And, what are the agents, authorities or organizations from which the competitions should be promoted? The intention of “The Competition of Competitions” is to provide and deliver new and relevant forms of engagement and content to economic, political and social systems that currently act as the voice of authority in the development of our cities. 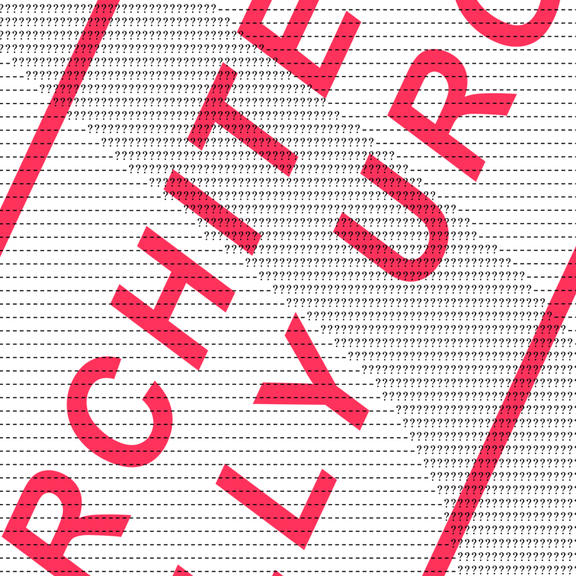 “Competition of Competitions” asks architects, artists, economists, philosophers, writers, and citizens at large to create interdisciplinary teams that will formulate questions and define agents to pursue the task of asking and commissioning visions for the future, in the form of a competition brief. Participants are to rethink the format, content and agent/s that constitute the basis for the way competitions and commissions are organized. This is a conceptually based bureaucratic competition. The scales or sites of operation that each submission might choose to engage has no limits and should be specified by each participant in the brief. Each entry will be able to define the necessary elements for the articulation of the competition brief. Each submission should not be longer than 10 one-sided pages, including text, images and/or drawings. The following points summarize the general parameters to be addressed throughout the brief. When not applicable or appropriate, applicants might decide to respond differently to the following requirements. 1. Title: List the title and, if desired, subtitle of the competition. 2. Political Agent: Describe the individual, corporation, organization or collective (real or fictional) in charge of organizing or commissioning the proposed competition. Please provide the CV or mission statement of the organizing entity or individual. 3. User-Subject: Describe the individual, corporation, organization or collective (real or fictional) to whom the competition brief is addressed. 4. What: State a general description of the competition. This might include, but is not limited to, ideological, programmatic, material or formal principles. 6. Deliverables: Enumerate the necessary documents to be produced to establish a proper judgment of the future possible entries. 7. Temporality: List the start date, deadline, phases, schedule, etc. 8. Economics: Outline the prize[s] and budgetary constraints, if any. 9. Rules/Laws: State the competition rules. Briefs might respond to current laws or might assume the creation of new laws, rules or regulations of existing or fictional governing authorities. Submissions should specify, if necessary, the applicable rules the brief needs to obey. 10. Eligibility: State entrant’s eligibility. Requirements for entry need to specify who can and cannot participate. Please, specify conflicts of interest or any other policies applicable. 11. Jury members: Indicate individual names or generic categories with brief descriptions. 12. Evaluation guidelines: Indicate the criteria used to evaluate the entries. 13. Questions: Establish formats of communication between the organizing entity and the entrants. 14. Registration: Define the protocols of subscription and entry. 15. Anonymity: Address the notion of authorship, recognition and identity by identifying the mode in which authors might or might not be identified. 2. By sending a pdf file of no more than 10 pages. The jury will select 10 projects (3 Prizes and 7 Honorable Mentions) and a Storefront Special Prize: “The Competition of Competitions of Competitions Prize.” All selected projects will be publicized and given support to reach the pertinent agents and authorities. The Special Storefront Prize “Competition of Competitions of Competitions” will be awarded to a Competition Brief that resonates with Storefront’s mission. The recipients of the Special Storefront Prize will be commissioned to organize and run the submitted competition as part of the 2014 Storefront for Art and Architecture program calendar. 1. All submissions should be sent in English. Please, provide translation footnotes if native language is deemed necessary at points within the submission. 2. There is no limit to the number of submissions a given organization, team, or individual may submit, but each submission must be registered separately and be accompanied by a unique Identification Number and separate registration fee payment. 3. No entrant shall receive or be entitled to receive any payment as a result of a submission or for granting the promoters any right here in or associated with the competition except an award pursuant to the rules herein. 4. All registration fees are non-refundable and nontransferable. 5. Ineligible participants include any staff or directives of SFAA (Storefront for Art and Architecture) or of AAAI*, any jury members and direct employees or relatives. 6. Storefront for Art and Architecture has the right to publish without prior consent all materials submitted to this competition. 7. Submissions shall not be published or made public until a final decision by the jury is made public. 8. By entering the Competition, any and all entrants, and where applicable, their predecessors, successors, assigns, heirs, officers, directors, attorneys, agents, affiliates, parents, subsidiaries, employees, shareholders, and any other person or entity similarly situated, agree in full to these Rules and Brief. 1. All submitting teams must be at least formed by 2 people (real or fictional). 2. Each submitting team must have at least two people from the following disciplines: economy, philosophy, architecture, anthropology or art history. 3. Additional team members from other disciplines, ways of life and expertise are encouraged. The decision of the jury shall be final and binding on all parties, and no disputes shall be entertained. The jury might declare the competition deserted and reject any and all proposals received in response to this competition. The jury might waive or modify any irregularities in proposals received or any other aspect of this competition. Competitors must not communicate with the jury about the competition in any way until a public announcement of the winners is made. 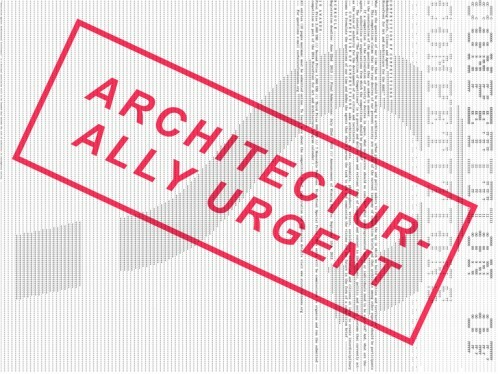 * “Association Against Architectural Irrelevance!” is a fictional association still to be founded that defends the role of architects in contemporary society.